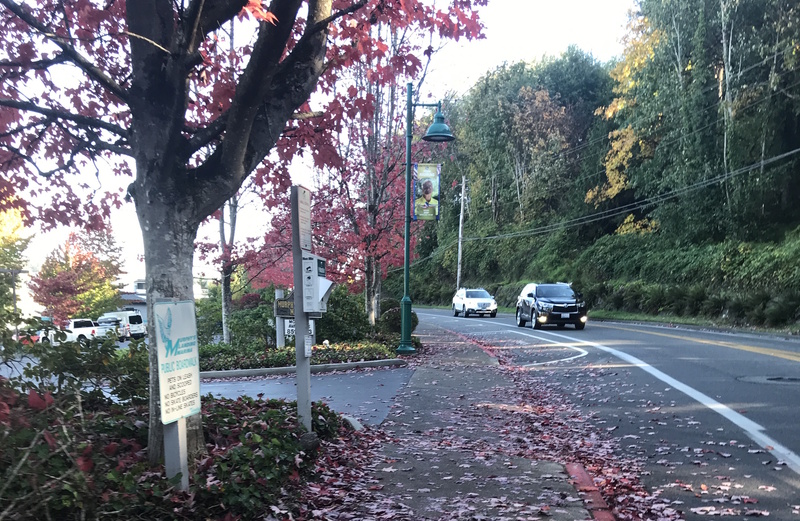 It was a glorious autumn day, perfect to stroll along the Gig Harbor waterfront sampling wines, beers, spirits, and delicious nibbles provided by local restaurants. Along with the beverage samples, lucky attendees enjoyed clam chowder from The Tides at the Eddon Boatyard, a shrimp appetizer from Anthony’s at (of course) Anthony’s, won tons with the beer tasting at Hawkins Poe, chocolates with the shots and cocktails at Heritage Brewing, and more. We thought the event could very aptly be named Sip, NIBBLE, and Stroll! My wife’s vote for best snack was the delicious macarons and pastries provided by C&E Cake Studio in Port Orchard (pictured above with owner Christine Mercado), at the Gallery Row on Harborview Drive. They were as good as real Paris macarons! 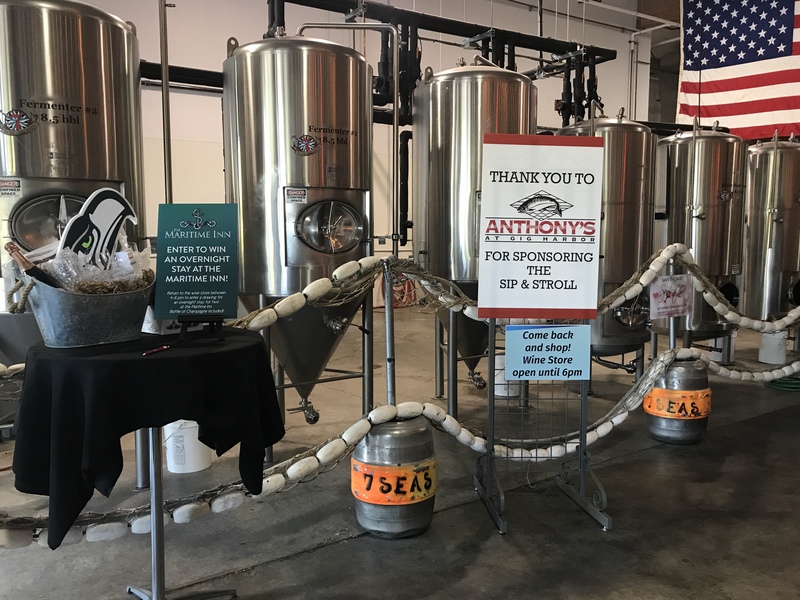 Sponsored by the Gig Harbor Downtown Waterfront Alliance, the October 13 event started off at 7 Seas Brewery/Tap Room, with stops in shops for sipping, tasting, and shopping along Pioneer and Harborview Drive, and ending up at Anthony’s, the event sponsor. Each participant received a complimentary wine glass and 15 sip tickets to use as they chose at the 20 available stops. A shuttle provided bus service at multiple points along the way. If you missed it, the next Sip ‘n Stroll is scheduled for February 9th, 2010! Note: For all the latest details on wineries, breweries, spirits, and food in the Gig Harbor area, visit Gig Harbor Wine & Food Experience on Facebook. The Autumn Sip & Stroll is presented by the Gig Harbor Downtown Waterfront Alliance and the Rotary Club of Gig Harbor. For more information, contact the Alliance office at 253-514-0071.